It’s Wedding Wednesday and the perfect time to dole out some destination wedding inspiration! Whether you just said “Yes” this morning or are still waiting for the question, take a peek – thanks to our brand-new photo galleries by Adventure Photos – at the fabulous wedding setups available at Secrets Resorts & Spas in the Riviera Maya! Choosing to have your destination wedding at Secrets means flexibility and Unlimited-Luxury® inclusions at the most stunning beachfront resorts. Everything, from flower arrangements and music to ceremony spaces and décor, is on-site and at your fingertips at our Secrets Resorts. 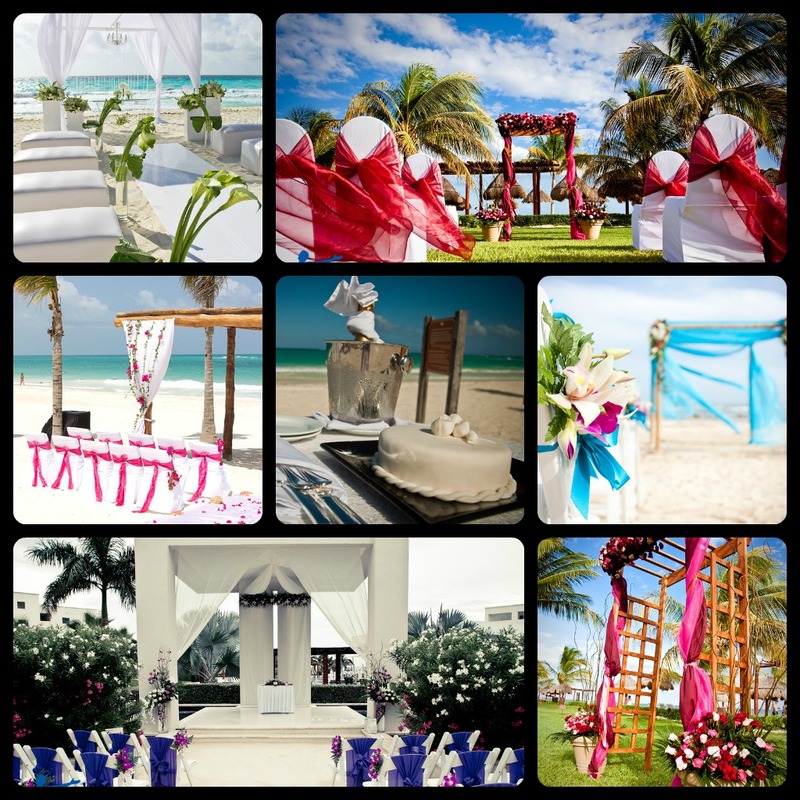 Romance flourishes for couples who celebrate their special day at Secrets Capri Riviera Cancun. Mediterranean-inspired décor and architecture set the stage for a classic, elegant and romantic wedding in one of six gorgeous ceremony and reception locations. Visit the Secrets Capri wedding photo gallery to see for yourself! Couples can feel free to bask in wedded bliss at Secrets Maroma Beach Riviera Cancun. Located on one of the world’s best beaches, the resort offers nine stunning ceremony and reception locations that truly capture the love and joy of the big day. See what we mean at the Secrets Maroma Beach wedding photo gallery! Style and sophistication form a perfect union at Secrets Silversands Riviera Cancun, where couples can enjoy the largest suites in the Riviera Maya. The chic, modern décor and romantic atmosphere blend perfectly throughout nine unforgettable ceremony and reception locations. Browse the Secrets Silversands wedding photo gallery to see what we mean! Secrets The Vine Cancun is the perfect destination to make a bold statement, while still embracing the romance and elegance of a traditional wedding. This flawless combination greets couples with personality and sophistication while surrounding them with passion and love. And don’t forget Secrets The Vine’s signature element: wine. Visit the Secrets The Vine wedding photo gallery for your inspiration! Here’s a sneak peek at gallery photos from Secrets Capri, Secrets Maroma Beach, and Secrets Silversands Riviera Cancun and Secrets The Vine Cancun! This entry was posted in Secrets Capri, Secrets Maroma Beach, Secrets Resorts & Spas, Secrets Silversands, Secrets The Vine Cancun and tagged destination wedding, Riviera Maya, Secrets Resorts & Spas, Unlimited-Luxury, wedding, Wedding Wednesday. Bookmark the permalink. Beutifull.. is very very good.